You might have heard of the famous pink beaches of Bermuda, Barbados, and the Bahamas, but did you know that there are a few beaches in Europe where you can experience these pale paradise shores? 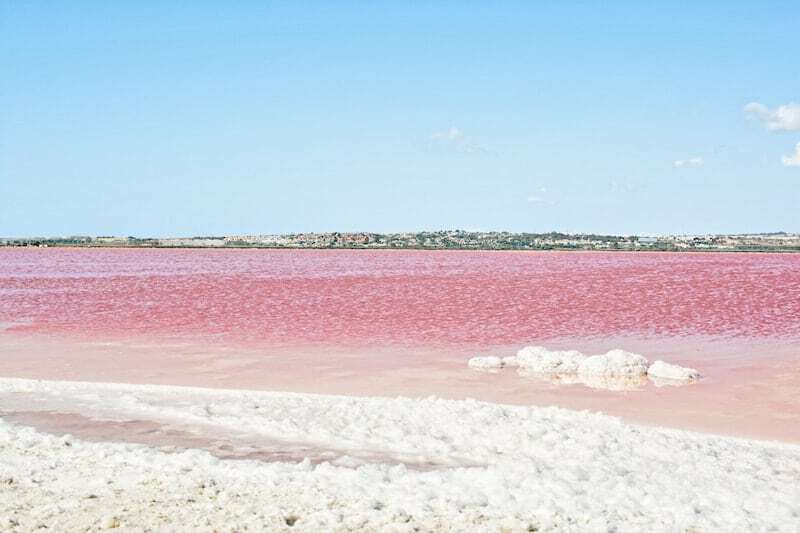 And if you prefer your hue a little stronger, you can find some spectacularly rosy displays at salt flats found in Italy, France, and Spain. 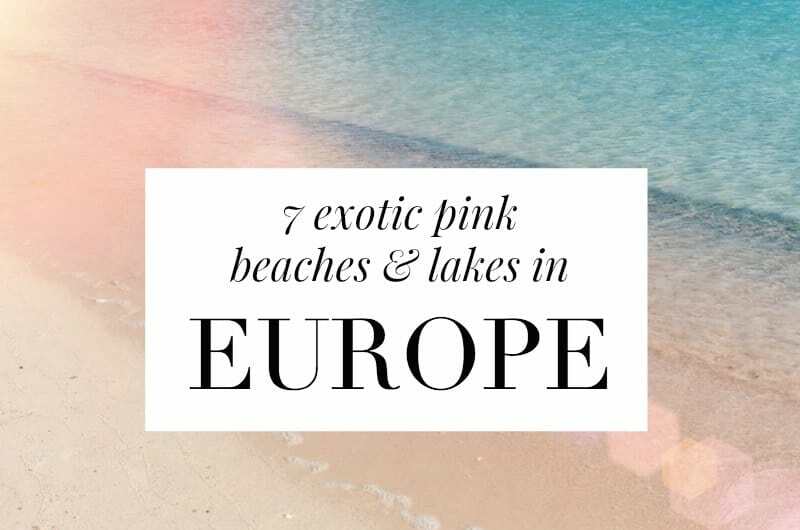 Here are 7 of the best places to get your fix of exotic pink in Europe. 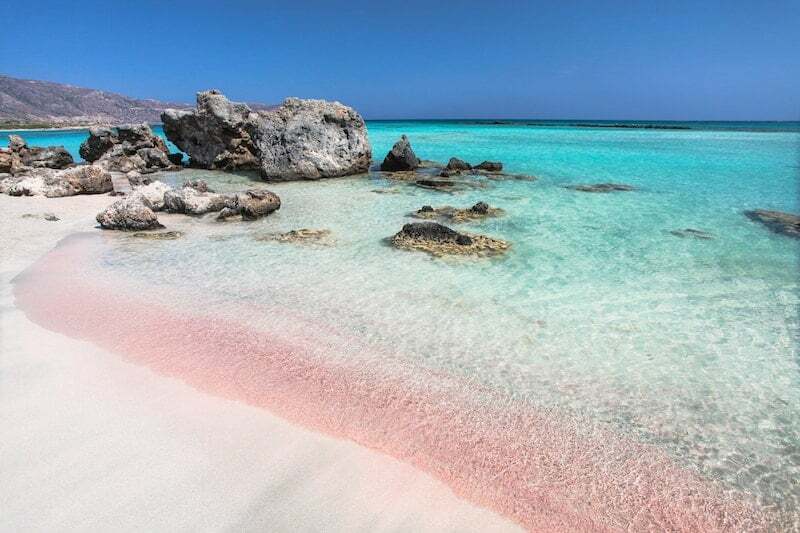 The most famous pink beach in Europe is also the least accessible. 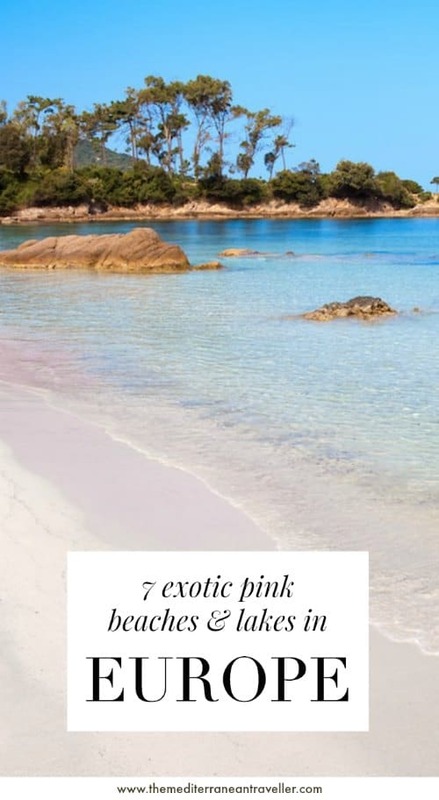 Spiaggia Rosa – the pink beach – on the island of Budelli just off the coast of Sardinia is part of La Maddalena National Park and the beach itself is currently off-limits to the public, who in previous years had a tendency to sneak the sand off the island to keep or sell it. Since 1994 it has been illegal to set foot on the beach though – you’ll have to content yourself with a glimpse from your boat. Just across the Straits of Bonifacio lies another island where you can find pink-tinged beaches. 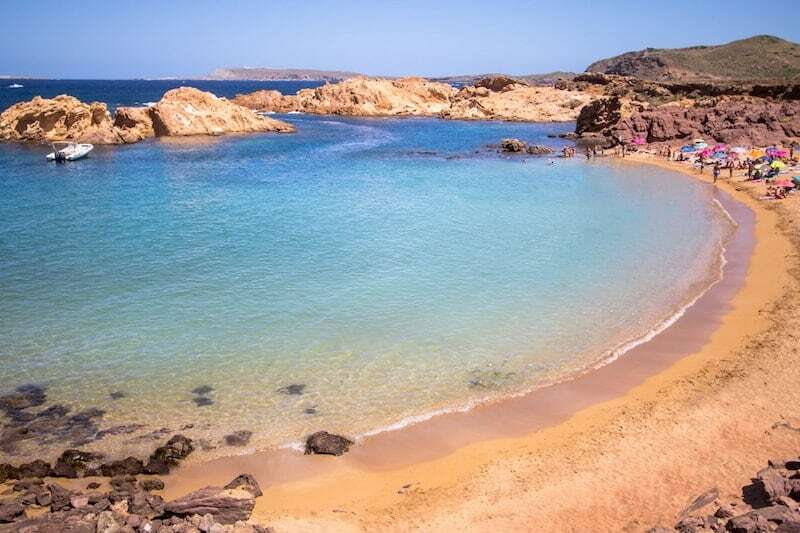 Known for its wild beauty, it’s the red granite cliffs of Corsica lend a little colour to the sandy beaches around Ajaccio and Palombaggio in particular. 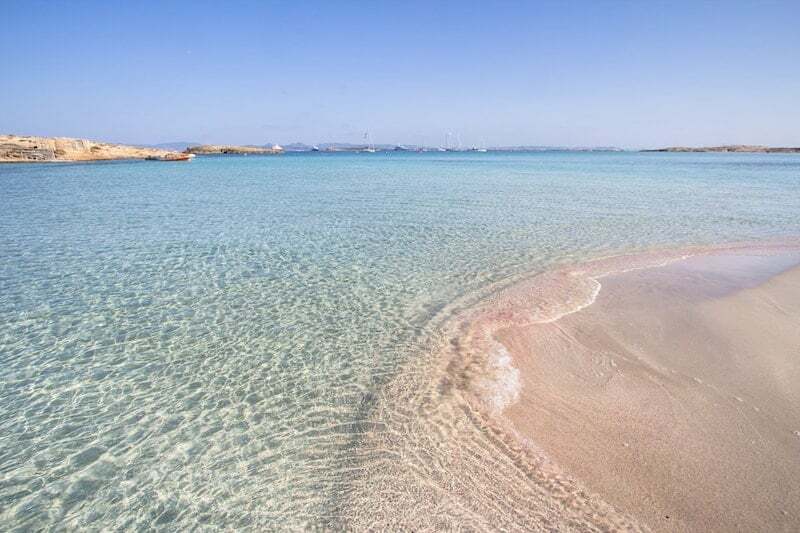 The sweep of sand at Cala Pregonda in Menorca glows fiercely golden, but has a distinctly reddish tone and is surrounded by pink-hued rocks and crystal clear water. Be prepared to hike to get here though (it’s a 30-minute walk from Cavalleria). The vast salt marshes of the Camargue are famous first and foremast for its fauna: wild horses, bulls, flamingos. But the saline waters are also inhabited by algae which produce a red pigment in the sunlight. 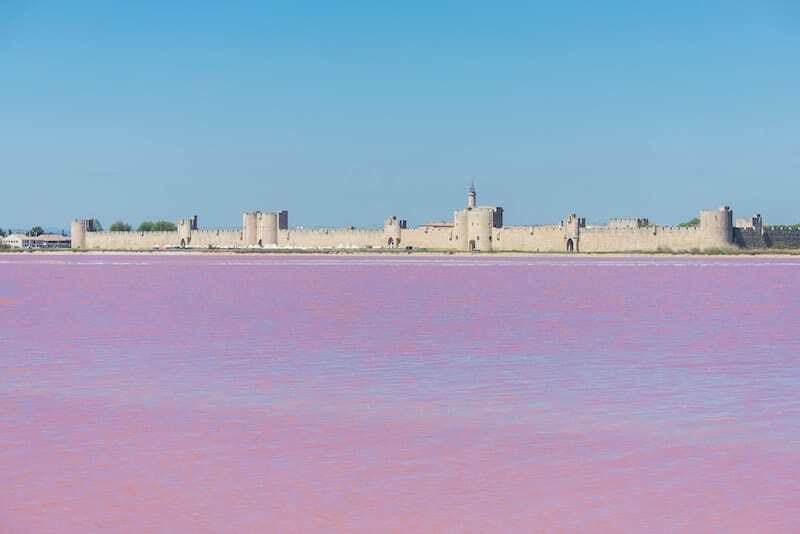 You can visit the Salins du Midi saltworks in Aigues-Mortes to take a train (or electric bike) tour of the salt flats. The lagoon of Elafonisi in western Crete is one of the most photogenic beaches in Greece, if not the whole of the Mediterranean. 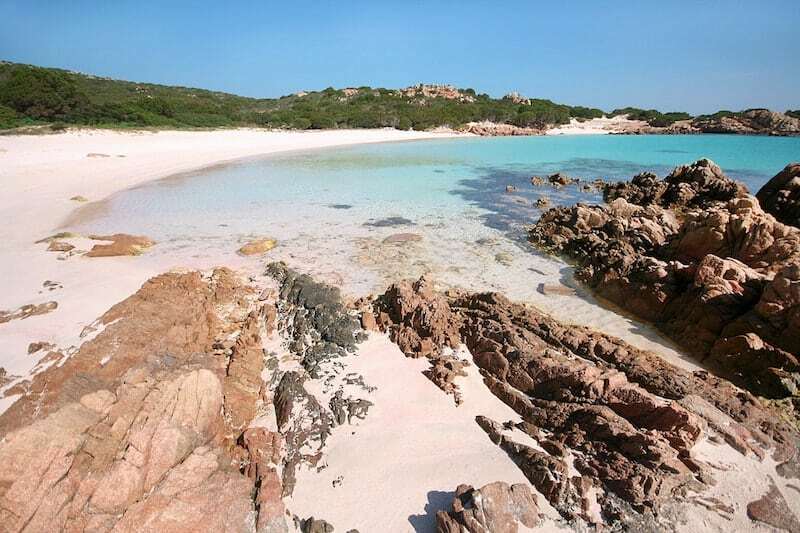 This spectacular beach is a popular day trip location for its clear shallow waters and the colours of its fine sands, which take on a pink hue in certain light thanks to the crushed shells it contains. The beach is a protected zone and is home to several rare species of bird. Something of an unknown gem in Spain unless you happen to have driven the main road between Alicante Airport and the coastal town of Torrevieja and seen its two extensive salt flats; one green and one pink. As with the Camargue marshes, the pink colour of this lake is the result of algae and bacteria – which also lend their colour to the resident pink flamingos by way of the pink shrimps that they feed on. 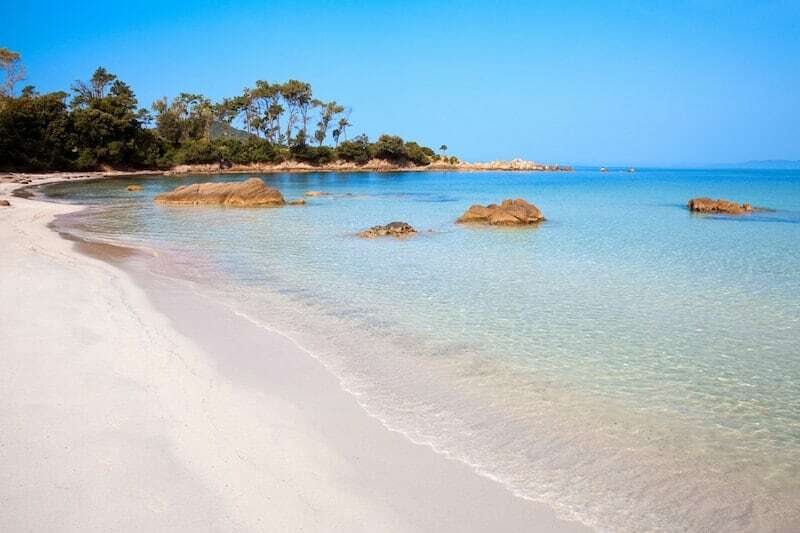 The hypnotically clear and serene beach of Ses Illetes in Formentera is another fine white sandy beach which takes on an exotic pink tone in certain light. Best seen outside the peak summer months of July and August when it can get rather crowded with day-trippers from nearby Ibiza.